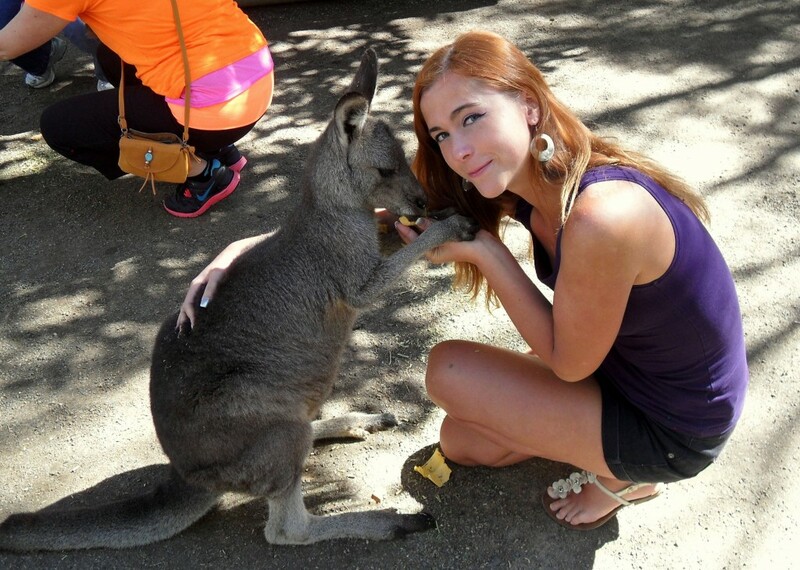 If you look at the front page of my blog you can see a photo of me feeding a wallaby, a smaller more friendly relative of the kangaroo, both of which live in Australia. My passion for Australian wildlife started when I was a kid and my dad was flying back and forth to Australia for business. On each trip he would return home with a new stuffed animal for me. After a while I had a collection that included a koala, a kangaroo, an emu, a platypus and an echidna. But, the stuffed animal that I really fell in love with was the tiny wombat that my dad got at the airport. I’m sure he never expected me to like that one the most but I was proudly telling everyone that my favorite animal is a wombat, even though most people had no idea what that was. A wombat is a furry nocturnal marsupial, usually described as some kind of hybrid between a pig and a bear. Even though I saw a wombat at the Toronto Zoo (you don’t want to know how many pictures I took of this poor animal haha! ), I wanted to see some in their natural environment in Australia. Upon arriving in Sydney, I wanted to find a place where I could interact with my favorite Australian fauna. Unfortunately, I was told that according to the laws of New South Wales (the state where Sydney lies), activities such as hugging or even touching koalas and wombats are forbidden. Every hostel person and travel agency told me that the closest place where I could hug a koala is Melbourne, but they weren’t sure about wombats. 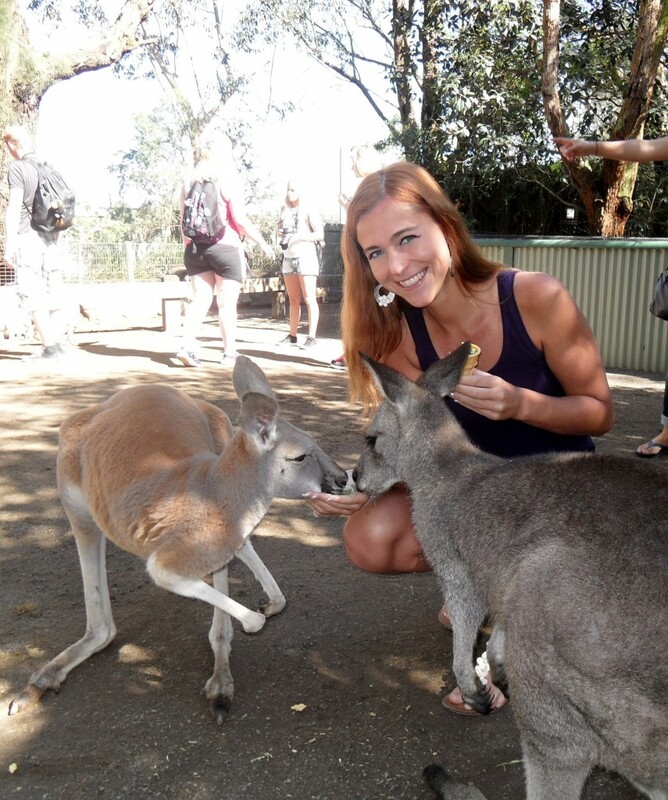 I researched my options in and around Sydney and I came across a trip to the Blue Mountains combined with a visit to the Featherdale Wildlife Park. 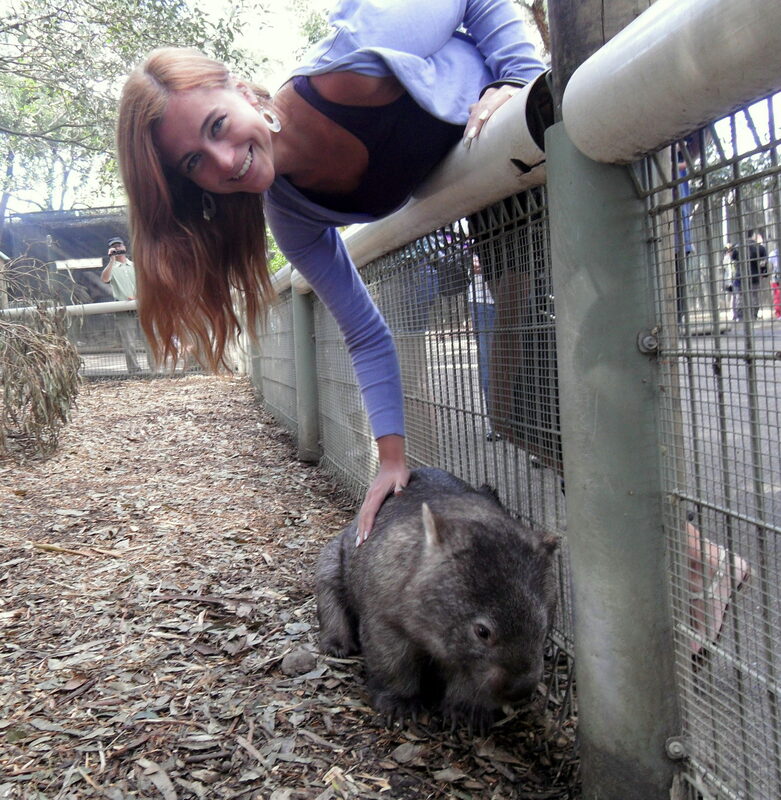 They had both wombats and koalas and it seemed more like a wildlife park than a zoo so I booked a tour immediately. I finally got to see my favorite wombats, sitting peacefully near the fence where I could pet them. There were also penguins, dingos, and plenty of wallabies. Wallabies are often confused with kangaroos, also present at Featherdale, but wallabies are smaller and friendlier. I got an ice cream cone filled with seeds to feed the wallabies. However, the poor wallabies had to fight with emus trying to steal their food, but I think I managed to feed my little friends enough. A big line of people indicated that there must have been a koala somewhere around. 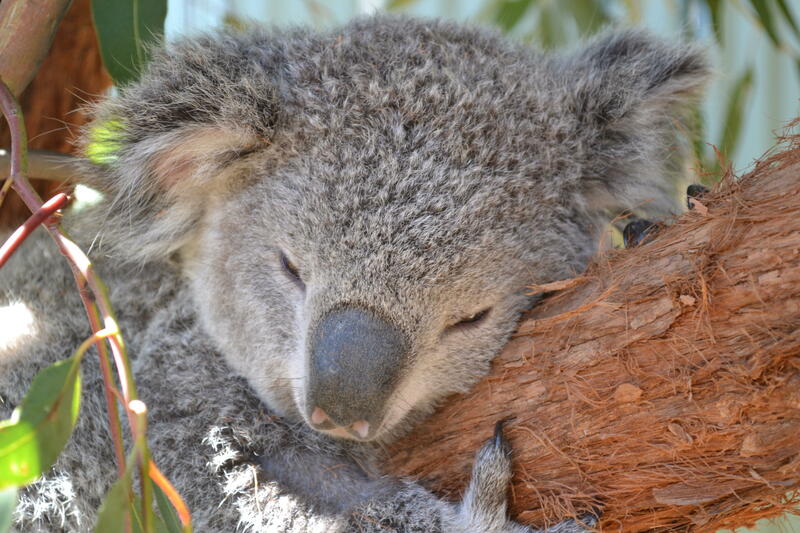 However, I managed to skip the line and hang out with another koala sitting on the branch of a eucalyptus tree. 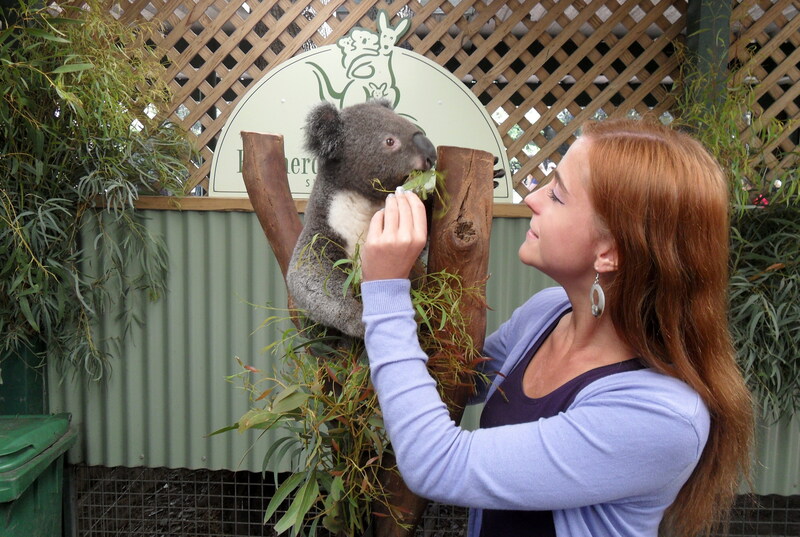 To my surprise, I was actually able to touch and even hug the koala. The friendly staff informed me that only travel agencies say that you can’t touch the animals but it’s totally fine. The poor drunk half-asleep koala (eucalyptus makes them tipsy, the same thing happens to elephants who eat marula fruit) couldn’t be less bothered by me trying to hug it. That koala was the last animal I took a photo of… Why? My camera was fully charged, but when I tried to take a photo of a penguin it suddenly died for no reason. Happy I had a back-up plan, I took my phone out of my bag only to realize that it was also dead. I couldn’t believe that both my camera and my phone died simultaneously in Australia. Extremely frustrated, I decided to buy a new phone immediately upon arrival at the first stop in the Blue Mountains. I wanted to take out some cash but when I tried, it turned out that my Dutch bank forgot to activate my card for use abroad and my UK bank simply refused to give me any money, claiming that I entered the wrong pin. This was the day that I stayed with no camera, no working phone, and no money. 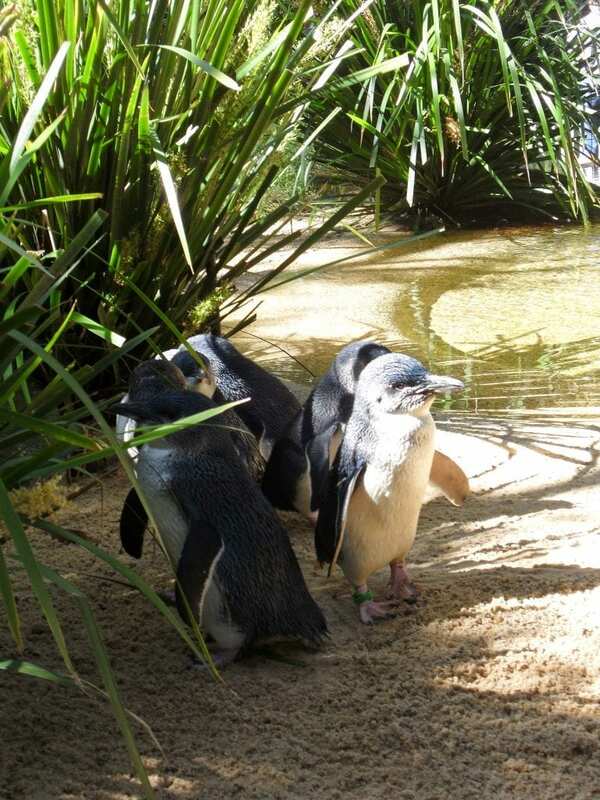 A photo of penguins sent to me by a friend I met at this trip. My frustration might have influenced my opinion about the Blue Mountains, but I was terribly disappointed by them. Some say that the more you travel, the less impressed you are and that might be the case with me, but if you’ve been to New Zealand or South Africa, the Blue Mountains will disappoint you. At least I didn’t regret not being able to take a picture there. Overall though, the trip was definitely worth it, because of the wildlife park! We have some pretty amazing wildlife here and I am pretty lucky to live in “the lucky country”. I live in Brisbane Australia and have kangaroos bouncing down our street and Koala’s in the trees behind home. We live in a quiet area with a pony club in front of us and nature strip behind us so everyday is like a zoo for us. If you get to Brisbane on your travels let me know, I’ll show you the real Australia. I love Australia. The view and people very nice. Oh my goodness, these animals are too cute. I need a selfie with a koala & kangaroo ASAP! Awesome pics! Looks like you had a lot of fun despite your electronics dying. 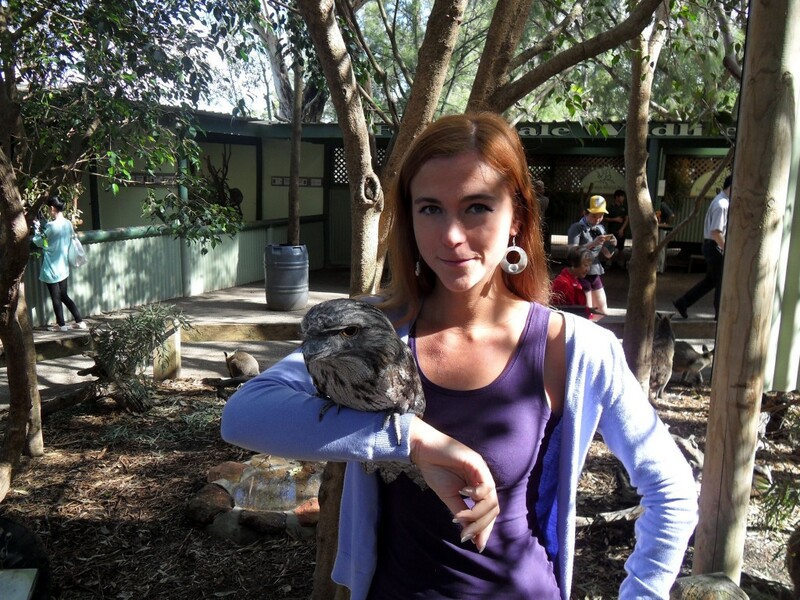 The bird in the picture that is sitting on your forearm isn’t a Kookaburra. It’s actually a Tawny Frogmouth. Thanks for sharing! I’ll bare Featherdale Wildlife Park in mind for my future trip. That’s so cool that you were able to pet those cute animals. Did you visit anywhere else in Australia? It looks like this is the only post I found that’s linked to Oz. I live in Darwin in the Northern Territory, we have some amazing birdlife here. Australian flora and fauna are incredible. If you come back to Australia, take the opportunity to visit the top end there are many things to do and beautiful places to see. Not a good idea to play with the native animals, not exactly the most friendly creatures. Hi Anna, have just discovered your blog and reading your posts. I live in Australia. On one of my travels I visited Wilsons Promontory – National Park Victoria. 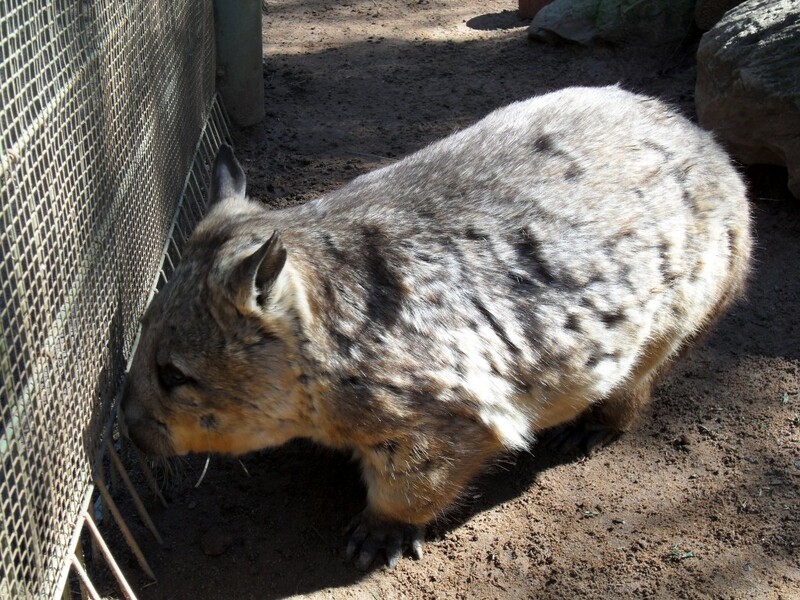 I was fortunate to come across a wild wombat, he looked really friendly and my hubby at the time was saying don’t get too close, well I ended up crouching down and patting this wombat for ages, he was indeed very friendly, I am thinking he had always lived close to the campers and gets fed a lot. Na Twojego bloga trafiłam całkiem przypadkiem po przez wpis o żyrafiej rezydencji w Kenii. Widząc parę żyraf wtykających głowy przez okno podczas Waszego posiłku serce mi podskoczyło z ekscytacji, a przez głowę przemknęła myśl “muszę tam pojechać!”. Zaczęłam czytać Twoje wcześniejsze wpisy i rozpływać się na myśl o tych wszystkich wspaniałych podróżach, które odbyłaś, miejscach które zobaczyłaś i tego czego podczas tych podróży doświadczyłaś (mapa z zaznaczonymi krajami, w których byłaś robi ogromne wrażenie!). Jako początkująca podróżniczka, a wręcz bardzo początkująca, większość swoich dalekich podróży odbywam wirtualnie, czytając blogi i książki. Natomiast w końcu szczęśliwie wygląda na to, że wreszcie zacznę prawdziwie podróżować. Na cel swojej pierwszej egzotycznej podróży obrałam krainę swoich dziecięcych marzeń – Australię. Ponieważ wybór moich podróżniczych destynacji jest podyktowany zwierzętami, które mogę tam spotkać wybór Australii nie powinien dziwić. Moje serce lata temu skradły wombaty i nie wyobrażam sobie wyjechania z Australii bez zobaczenia i pogłaskania jednego z nich, a najlepiej i przytulenia! W Internecie jest mnóstwo informacji o tym, gdzie można przytulić koale, natomiast o wombatach jakoś cicho. I tutaj moje pytanie do Ciebie, jako zadeklarowanej miłośniczki wombatów, czy poza Featherdale Wildlife Park może znasz inne miejsce w Australii, które pozwoliło by na bliższy kontakt z tymi słodziakami (może gdzieś na Tasmanii)? Będę wdzięczna za wszelkie podpowiedzi. Serdecznie pozdrawiam i gratuluje wspaniałego bloga. Hey Magda! Swietnie trafilas z pytaniem, poniewaz akurat pod koniec lutego wybieram sie znowu do Australii wiec bede wstawiac mnostwo Insta Stories stamtad. Od paru dni takze poszukuje informacji na temat wlasnie gdzie mozna sie spotkac z wombatami i pomimo tego ze jest pare sanctuaries wszystkie sa prywatne (ale polecam pogapic sie na filmiki ze Sleepy Burrows Wombat Sanctuary na facebooku 😉 ) i nie mozna ich odwiedzac. Z mojego rozeznania miejsca sa dwa: jedno to Caversham Wildlife Park kolo Perth, drugie to Bonorong Wildlife na Tasmanii. Trzecie to slynne Australia Zoo (tam gdzie Steve Irwin pracowal) w Queensland, natomiast pojawiaja sie watpliwosci w sieci na temat tegoczy to ostatnie zoo jest ethical czy nie, ale nie bylam jeszcze wiec nie moge sie wypowiadac.